Brown leather hand-tooled wrist cuff. 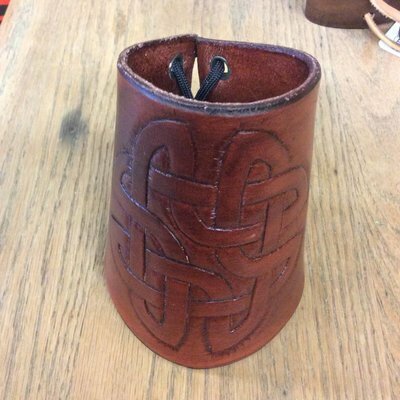 One of a kind, it has a detailed Celtic Quaternary (four way) knot engraved and stained. Fits adult wrists.